We got seated and was greeted with some nacho and some side salsa which is always welcomed especially when it’s for free, it’s also always nice to snack on something when skimming through the menu and deciding what to order for dinner. The prices are decent here, what you would expect in the Itaewon area, ranging from about 8,000W and up depending on what you get. Me and my girlfriend did the usual, order two things and then split it down the middle, or in this case spoonful for spoonful haha. 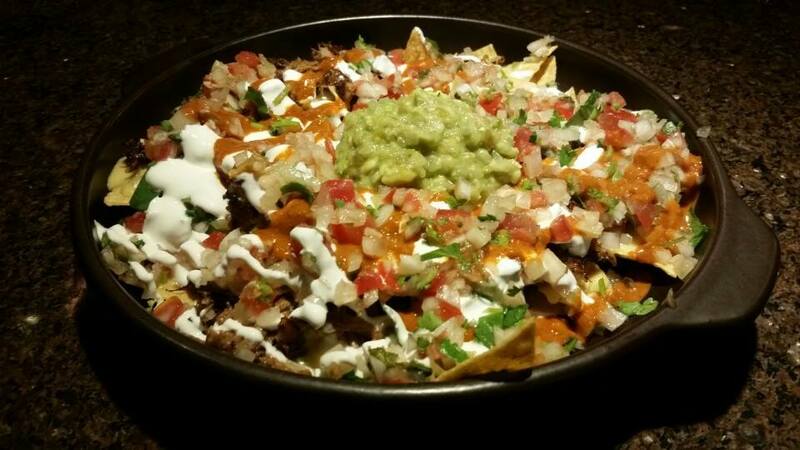 These were the nachos, as you can see they are some decked out Nachos, packed with flavour and filled to the brim with ingredients. 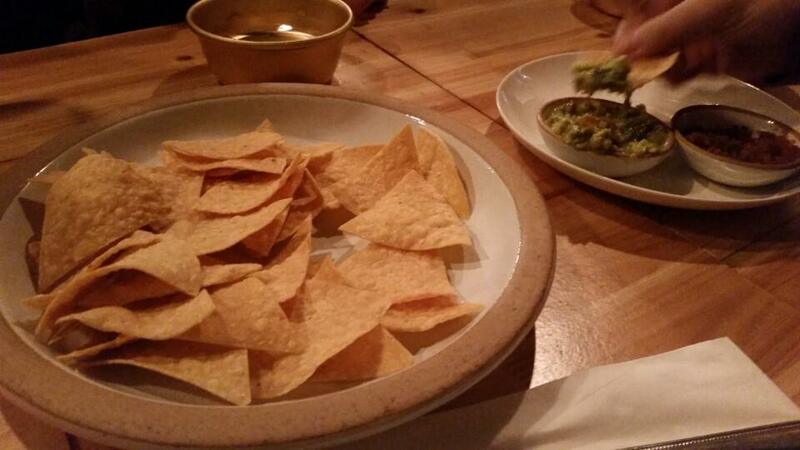 The Guac on top was fresh and the salsa all mixed together well, a dish huge on flavour and good value for money! 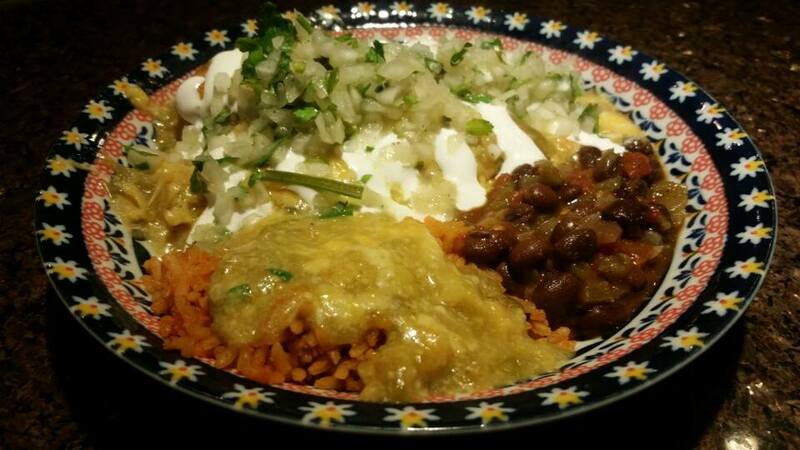 This is the Chicken Enchilada with a tomato green chili based dressing, Mmmmm beans and rice with cheese, I think for me personally this dish needed some crunch or something to make the texture a bit different. (Enchiladas are made to have that oven baked taste to bring out the softer side of the mexican dish as stated by the chef at Taste of Los 🙂 Good to know) Other then that the meal as a whole was tasty, the flavours were delicious, I’m not a huge Mexican food fan, or know what each dish should taste like but this one was definitely packed full of delicious flavours. Ah man these Taquitos I think that’s what they’re called were delicious, that cheese goodness mixed in with the beans and the crunchiness of the shell just went well together. This was probably my favourite dish of the three we ordered. 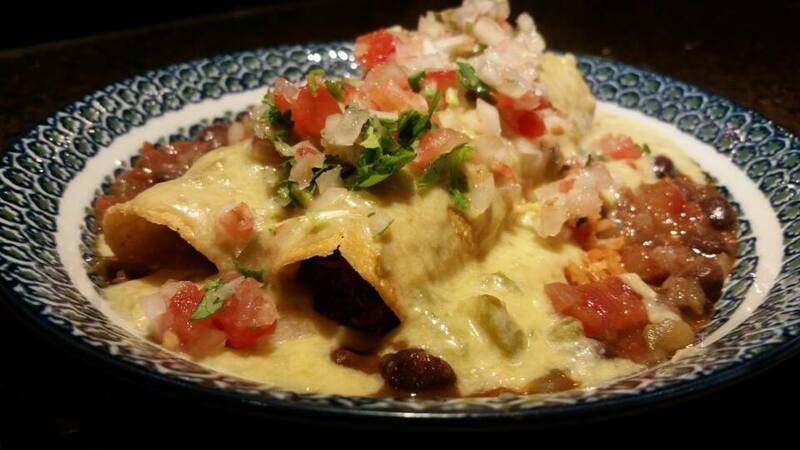 I’d probably order this and the nachos next time to share, but overall the food here at Taste of Los is MONEY! big on taste huge on flavours, and the service and chef is top notch! 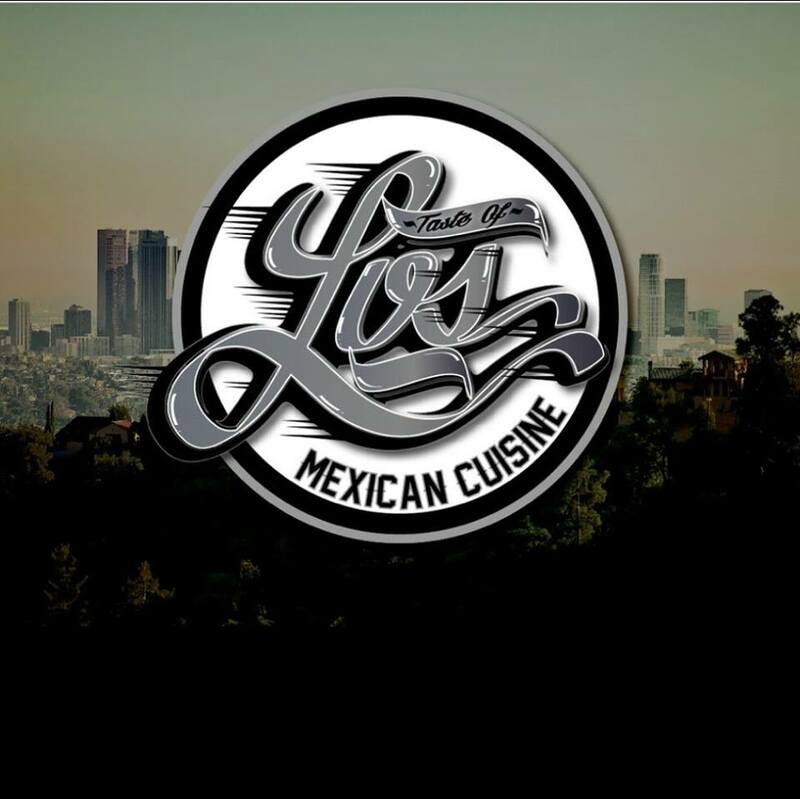 Be sure to check them out to get your next Mexican Food Fix.